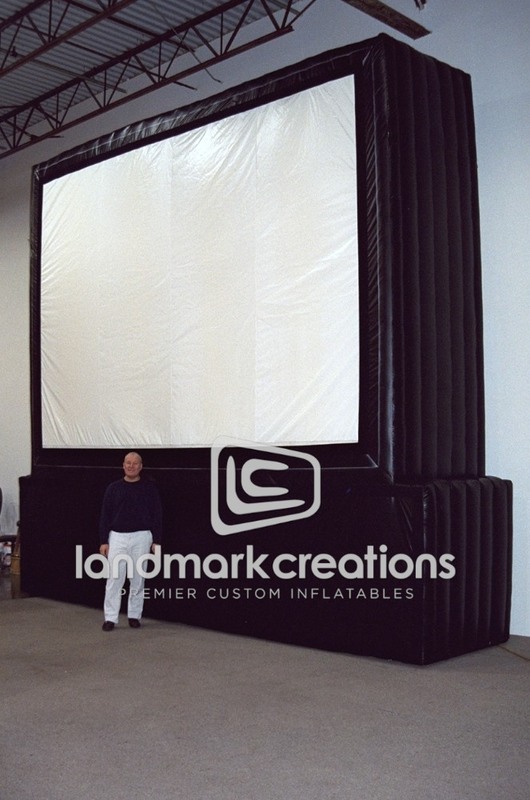 This custom inflatable movie screen is supported by a black pedestal that doubles as a message or advertising area. 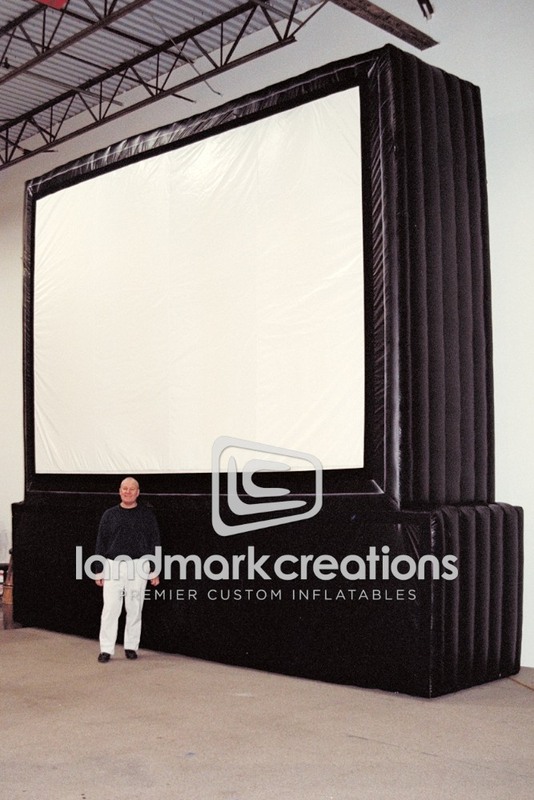 Perfect for companies hosting or sponsoring social events! Commercial Grade: Custom Built to Order.